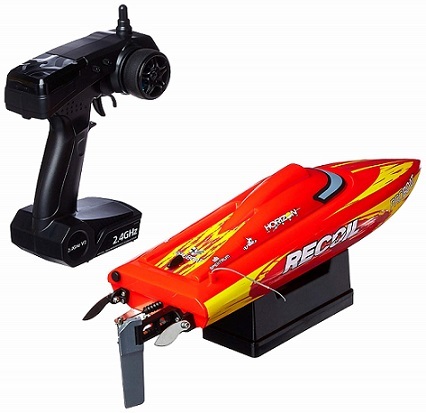 RC boats are becoming one of the most popular categories of remote control vehicle. From serious professional racers to hobbyists, everyone with access to water can enjoy a radio controlled boat for sale. The gear available today is nothing like the old-fashioned versions that you saw at amusement parks during yesteryear, and the designs are very sleek. 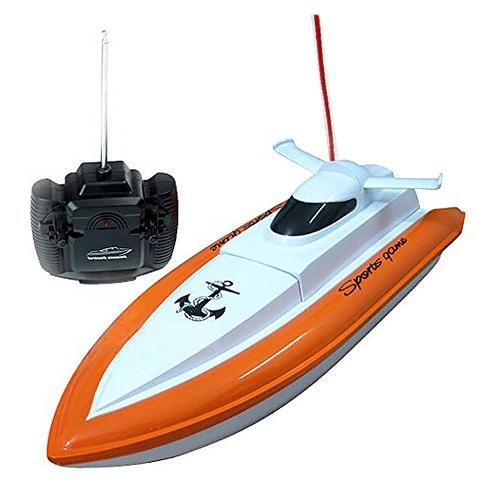 This is a faster RC speedboat model that is really made for those that want to experience higher speeds and a lot of excitement. 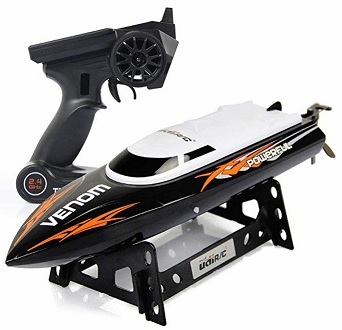 This cool RC boat is about a foot long and represents what people usually want most out of a modern, sleek remote control boat in the cheap price range. Some even consider it the best remote control speedboat for sale, although it’s only #2 on our list. All-around, this is one of the best RC boats under $100. 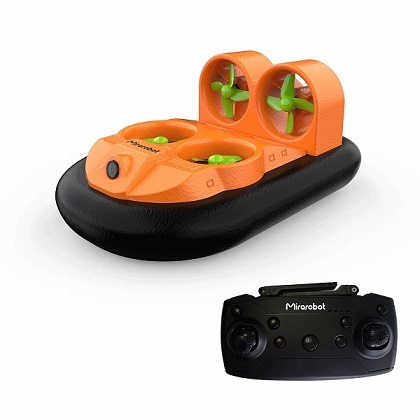 The Cheerwing RC Racing Boat is a popular radio controlled boat because of its small size and excellent controls. Its streamlined hull and compact shape are actually specifically designed for use in smaller bodies of water such as a pond or lake. 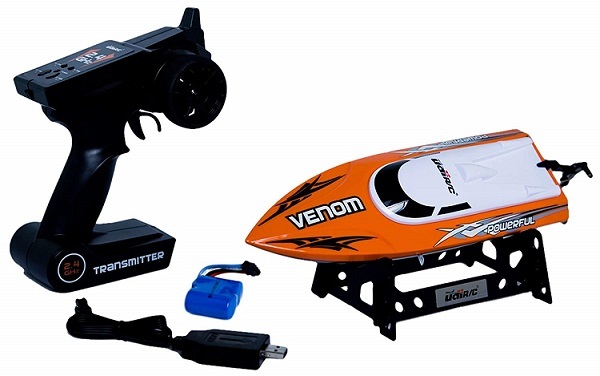 This awesome RC boat for lakes is especially good for beginners, because it has self-righting capsize recovery features built right into the hull, auto-corrects its own tilt, is water-cooled, and has built-in alarms for low battery or weak signal connection. 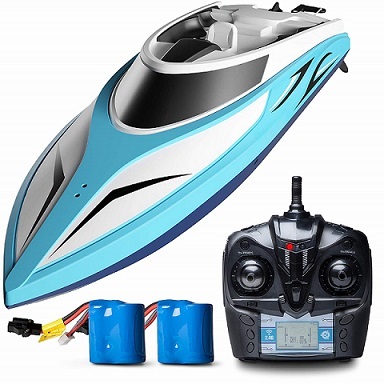 So if you’re looking for a great small RC boat that can be used in any conditions, the Cheerwing RC Racing Boat is an excellent choice. The Babrit F1 is a small boat that can move in any direction: forward, left, right, and reverse. Not many boats can move in reverse, and that advanced versatility makes the F1 one of the best remote control boats for lakes, because it’s easy to back away from the edge if you find yourself getting into a dangerous situation. Precise port position and self balancing sailing also keep this boat stable and upright in any condition. 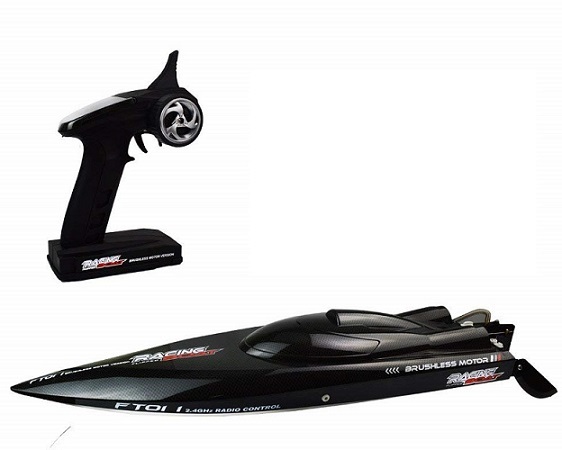 When you’re looking for cool RC motor boats with pure speed, there’s just no beating Traxxas. The DCB M41 twin-hull Catamaran (a term which refers to the boat’s unique shape) can go faster than 50 miles per hour thanks to a water-cooled, waterproof VXL-6s marine ESC with low-voltage protection and a Velineon 540XL brushless rc boat motor. An RC pontoon boat is a flattish catamaran boat that floats on cylindrical tubes called “pontoons.” These are good RC boats for lakes and are mostly used for fishing because they can run longer on less battery. This classical pontoon boat works well as a tool for bait fishing. It has about 20 hours of battery life according to the manufacturer, and though you can’t always trust those claims, we can tell you from experience that this RC pontoon boat lasts about as long as you could possibly want it to. It also moves at a steady 1.5 miles per hour, which is typical of this kind of vehicle. This is definitely not what you think of when you think of a typical RC pontoon boat, because it only has a single large buoyancy pontoon instead of two smaller ones. 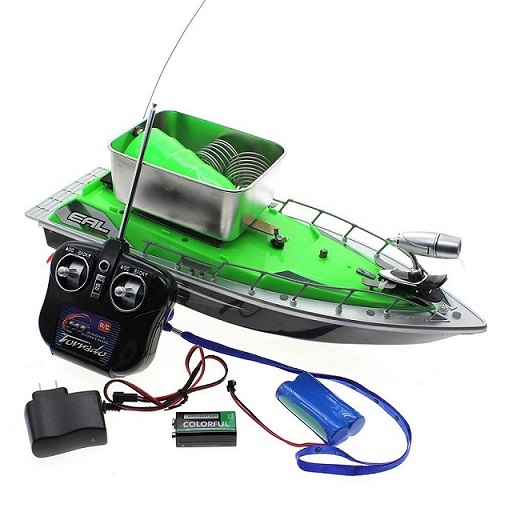 However, the HuntGold Electric Bait Fishing Ship is one of the very best RC boats for lakes in its class. It lasts for 8 hours of continuous usage (according to the manufacturer, at least – we’ve never had cause to use it for quite that long) and the large pontoon helps keep it stable in the water and gives it better wind resistance than some of its competitors. Plus, it can be used at night thanks to LED lights, and it’s nearly silent, which is ideal for when you’re chumming the water with bait. 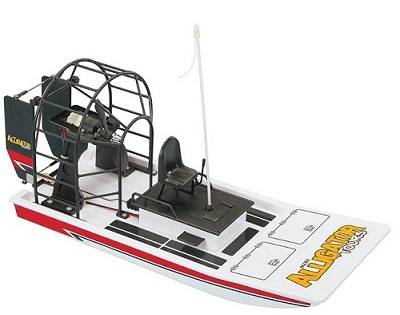 This RC boat may not be the most exciting looking, but it’s a great choice for serious fishing enthusiasts. 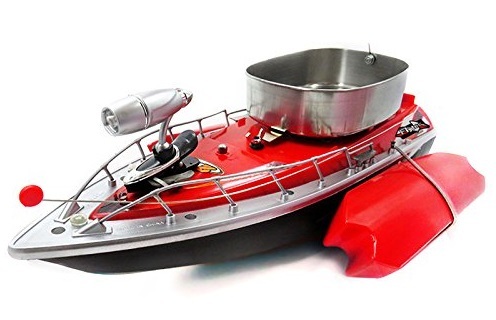 This popular remote control swamp boat emphasizes safety and stabilitly over everything else, which is often what you want from a swamp boat. It has a very impressive 500 foot range, a sailing time of up to 14 minutes, and a decent speed. It’s modeled after real-life swamp boats, only scaled down, giving it a unique look that fans of aesthetics are sure to appreciate.